The Forest, one of the latest “survival” games throws a few interesting horror twists in for good measure, but overall the game lacks serious quality. 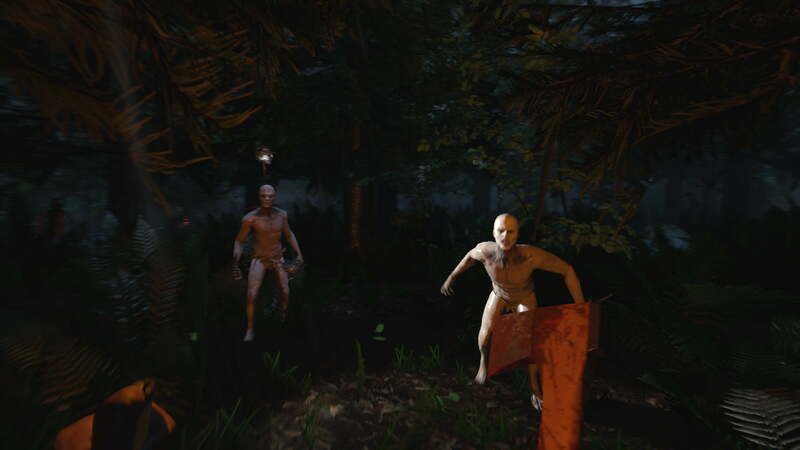 The Forest, one of the more recent and popular Steam Early Access releases, is almost entirely what you’d expect of it. It seems that the Early Access tag is something that is incredibly popular with the survival genre, and that makes sense, because there is little that a major publisher could do to market a game in this condition. It isn’t that The Forest is categorically bad, it’s just in a state that is not good. Several years ago, it was common to hear the following to describe an XBLA game: “It’s pretty good for a downloadable game.” We all are guilty of having said that, and looking back, perhaps it was true. 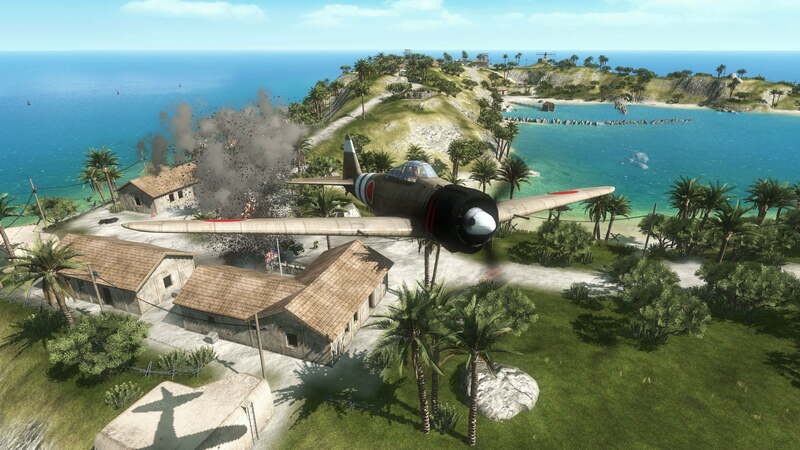 Gamers held those games to a lesser standard, and thus many developers were capable of releasing worse material than their AAA competitors and still have a product on the marketplace that was considered “good.” Then those major publishers decided to begin using that avenue to release their own products and games like Battlefield 1943 changed the definition of what gamers could expect out of the XBLA. Battlefield 1943 pushed the boundaries of what to expect from the Xbox Live Arcade. Something to that degree needs to happen with Steam Early Access. It’s a highly populated garbage heap, where gamers feel they can be a part of something; a part of the creation of a game. And it’s true, some, if not most, developers might actively visit the forums and listen to their fan community. And it’s certainly possible that a high-quality Early Access game could be released (some already have). But at this point, and this was only recently highlighted during the recent Steam Summer Sale, they seem to be the biggest sellers on Steam so there’s little chance of the mediocrity slowing down anytime soon. And with that rant out of the way, I can confidently tell you that The Forest is okay… for an Early Access game. Because the game in it’s current state lacks a legitimate save system (note: this feature has been added in since initially writing this), each time you load up the game, you’re forced to watch the same opening cut scene of your character and a young boy (son?) flying in a plane that, surprise, falls out of the sky and into the forest for no apparent reason. The first time this scene plays out, I was quite surprised at how neat the whole experience was. It initially felt visceral, but as time went on, and I was forced to re-watch the same cut scene over and over and over again, I couldn’t help but feel completely uninterested in the whole thing. 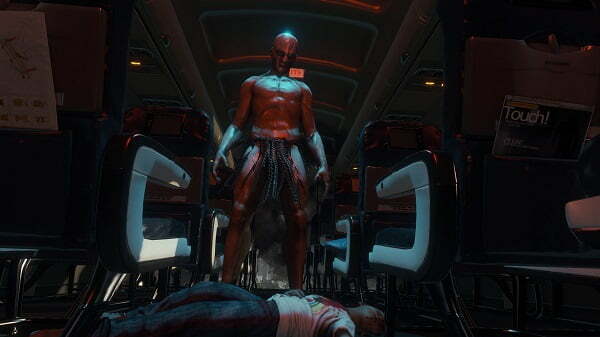 Oh, and it ends with the entire plane being empty spare you, your boy, and a jungle-man/cannibal. The cannibal takes your child and runs off, leaving you alone with no idea of what to do next. My assumption is that the game wants you to search the woods in a desperate attempt to find your child, but it fails on every level to get you to care at all about the boy and you quickly forget the reason you’re on the island. Sure, there is half a plane here and scattered suitcases there, but the entire thing lacks direction. It is not as bad as some other games of this variety, offering you a notebook with a bunch of crafting recipes, but beyond surviving what else is there to do? Perhaps that’s the biggest issue with these “survival” games. There’s usually almost nothing to do other than build a home, a fire, and a weapon to fend for yourself. The cannibals are downright terrifying the first two or three times you come into contact with them, but that effect doesn’t last. They just kind of stand there and stare at you. Sometimes they jump at you and kill you almost immediately (thus forcing you to begin all over again), but I never felt like they served any real purpose. It’s understandable that story might not be The Forest’s real interest, but when it sets it up to feel like it might be, I can’t help but feel let down that the narrative isn’t continued. The game does have a few things going for it. It’s hard to argue with the quality of the graphics. The sounds the woods make, perhaps the sounds the cannibals make (it’s tough to discern at times, and I don’t mean that as an insult, it’s terrifying), is perfect in creating an ambiance that is unmistakably spooky. It’s reliance on the old horror-trope of xenophobia is silly and, though scary, kind of hilarious in how over-the-top the cannibal tribesmen are portrayed. But aside from that, the game just doesn’t have much else to stand on. It’s clearly a very early work in progress. But what else could they add other than expanding the map and fixing bugs and fine-tuning AI? I hope they get it together by the time the game is given a proper release, but this trend of Early Access releases being too early for access needs to stop. As it stands currently, don’t buy The Forest. It’s as easy as that. It needs to be fixed and there’s still time and something in there that is salvageable. Great review. I agree with you completely. While this game is still in alpha, 15€ for it is way too much. I think the devs are a bit greedy and forgot the current situation of the game and therefore the game is overpriced. Either do not publish it before it’s in a playable state or make it cheaper/free.